Hubby was tired of ducking under the branches of our weeping peach tree while mowing, so he began trimming the tree. 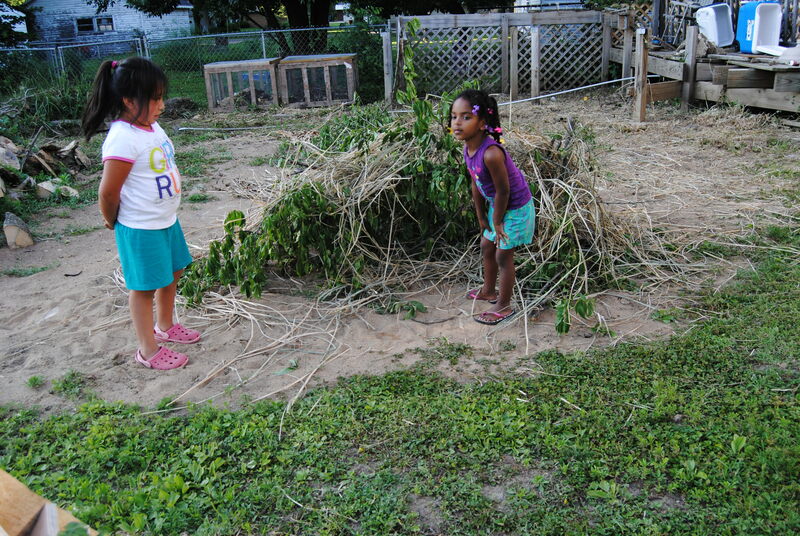 The branches were piled in the back yard, so the girls decided to use their creativity and began using the branches to build their fortune (according to Lili). For those who haven’t figured it out yet, what they were really trying to build was their fortress. Fortress. Fortune. Not much difference right?!!!! Love it! I bet the girls had so much fun with that. My younger two both love to build. I find forts all over the place (usually inside since we don’t technically have any trees in our yard though we often have leaves and an occasional branch).I love to see those imaginations work! 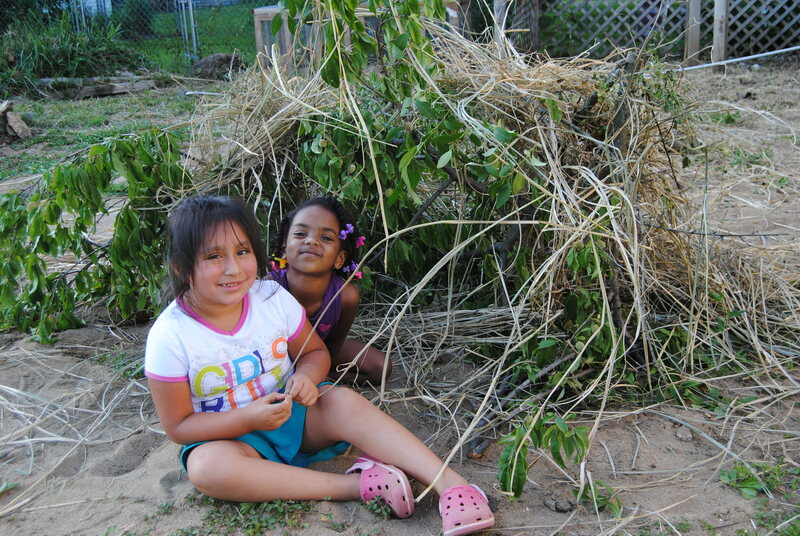 Once we get moved and settled, you’ll have to bring the kids up for a visit to collect logs to build their fort.